A little over a year ago, Todd and I had purchased a rather large and beefy oak dining set. It has a trestle base and a backless bench that can be pushed completely under the table. Still, the actual size, as well as the perceived size, is just too large for our space. Although I love the set, every once in awhile I look online for dining table ideas because ultimately I am unhappy with how cramped our dining area looks and feels. 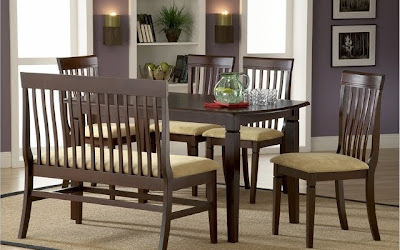 One of the dining room tables that recently called out to me is this Hillsdale Verona Dining Table Set in Cappuccino. 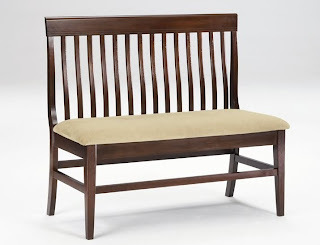 One of the things our children complain about is that our current dining bench has no back for them to lean against, so I know they would approve of this bench. 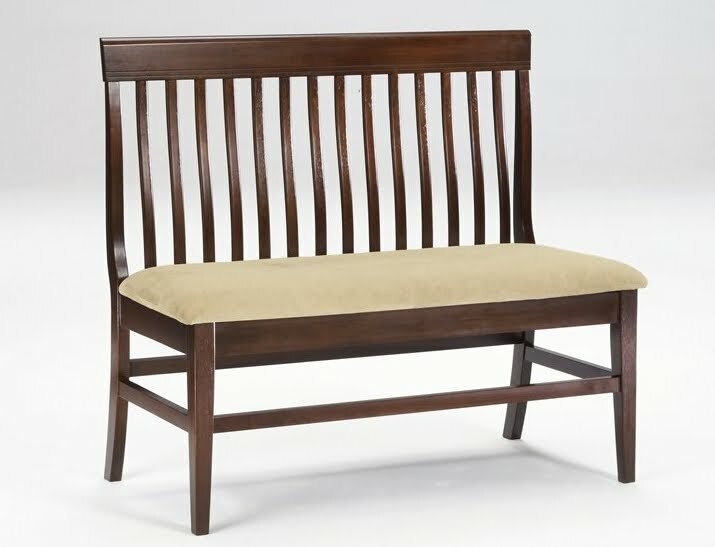 This set is also available with vinyl upholstered parson chairs, but I think the slat back side chairs and bench look more inviting for a household with children. This set would allow me to have the mission style that I love without the heavy look that some mission furniture pieces possess. This set, as shown, retails for $829 and comes with free threshold delivery to the U.S. and to Canada.